If you love your pet, it makes sense to kit them out in the very best gear, and at Land Rover pet accessories online, you've got ample options to choose from. Whether you select the Land Rover branded dog collar or lead, dog's jacket, bandana or harness, one thing is for sure: your dog will be the most stylish pooch in town. Turning heads from passers-by, when your pet is donned in this contemporary gear that gives priority to details, you can be certain they will radiate good looks and charm in an instant. What makes the Land Rover pet accessories online stand out from any other is that all of the branded items have been made with exceptional quality in mind. The finest materials are all inherent ingredients of these pet accessories, so you can expect products that stand up to frequent trips outdoors. Land Rover is undoubtedly a high-end brand, so it stands to reason that they have teamed up with other luxury brands to bring your pet the ultimate in first-class accessories. 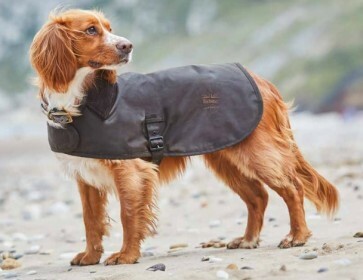 For instance, many of the Land Rover pet accessories online feature a collaboration with esteemed label, Barbour. With this in mind, you can be sure your pet remains bang on trend whenever it's time for walkies. Good looks is not just the only thing high on their radar at Land Rover; they appreciate that functionality is important to pet owners, too. That's why you'll find many of the pet accessories highly practical for everyday use. For example, you'll want to keep your pet warm and dry when the weather cools outside, so quilted, waterproof fabrics feature in some of their products. Whether you opt for top-of-the-range pet feeding bowls or smarter-than-smart walking attire, you can expect great quality products at affordable prices at Land Rover.